William Walter (Bill), born February 27, 1959, and Andrew John Den Hoed (Andy), born July 7, 1966, have led lives dedicated to working the land. They are most comfortable when they are out in the elements tending the vines and working with the soil. “There is something magical about the smell of fresh-turned earth,” says Andy. Bill and Andy are recognized as being innovators in Washington’s wine industry. With 1500 acres under their care, they have had the opportunity to try many different styles of growing, including having the first, and presently only, certified Biodynamic vineyard in Washington state. Both knew from a young age that they would continue their family’s tradition of lifelong farmers. They have a deep-seated love for the cycle of seasons, and the effect it has on soils and plant life. They both agree that watching the new life push forth from the vine, come into bloom, and bear fruit is magical and good for the soul. Bill taught Andy many things while they were growing up. Most of it good and wholesome lessons in life. Some of it mischievous, but all done through a love for each other that flowed deeper than the blood they share. 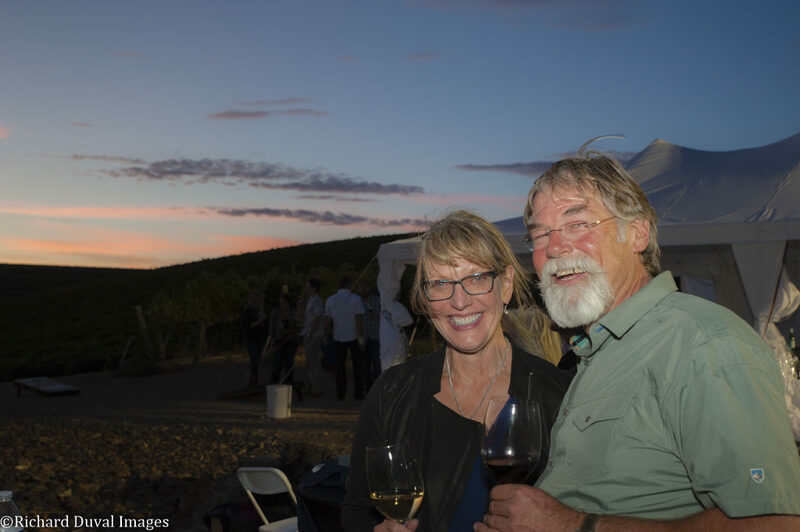 Even today after serving the Washington wine industry through every position imaginable (boards, committees, volunteer work, Bill on the Commission) and being forced to work inside more than they like, they still hold that love for each other, the land they work, and the life they share. Allen Shoup is widely recognized as one of the founding fathers of the Washington wine industry. 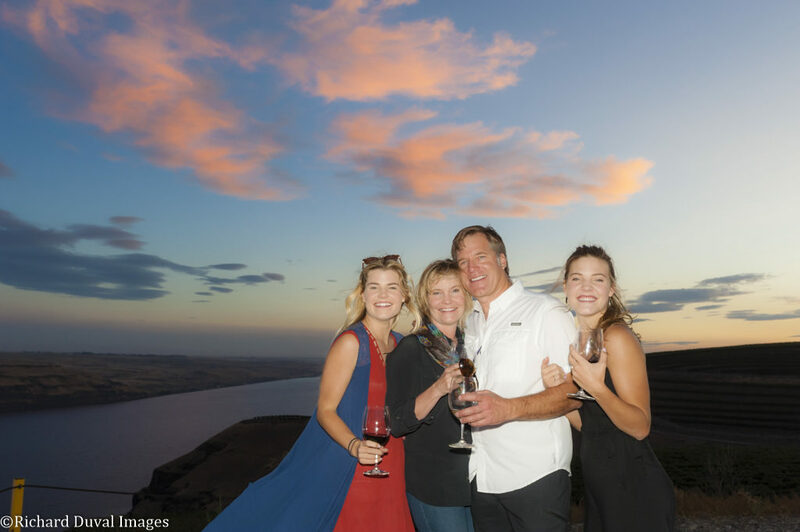 While CEO of Stimson Lane, he garnered worldwide fame for Washington wines by combining state-of-the-art technology with exacting principles of viticulture and enology. He created exalted reds and whites from the Columbia Valley, an appellation named and registered under his guidance. During his tenure, a 4,000-acre region of unsung vineyards in the 1980s was transformed into 30,000 acres of world-class viniferous grapes by 2000 – now home to some of the world’s most celebrated wines. Allen began his career in Modesto, California, where he reported to Ernest Gallo. In 1979, he joined Chateau Ste. Michelle, then a small, unnoticed winery in Woodinville, Washington. 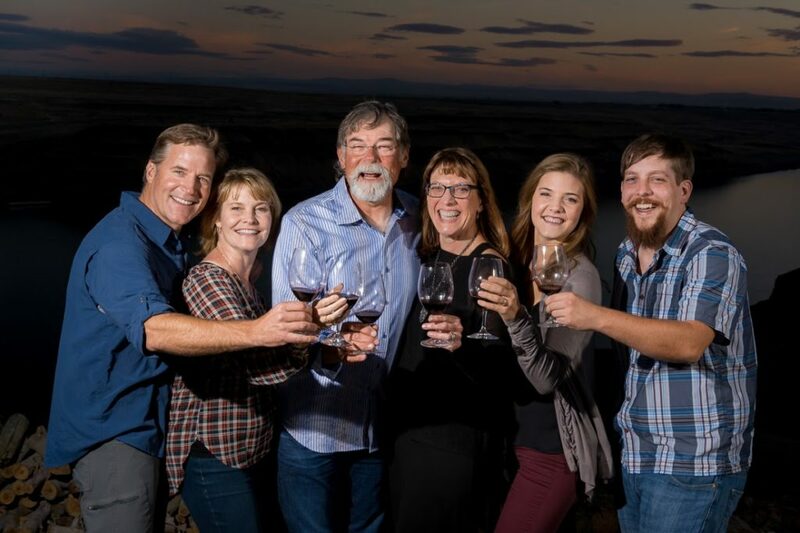 From that starting point, he developed Stimson Lane Wineries and Estates and began purchasing and building wineries and vineyards in the Columbia Valley. These included a second Chateau Ste. Michelle facility for reds at Canoe Ridge, the State’s largest winery, Columbia Crest, the nation’s third-largest sparkling wine facility, Domaine Ste. Michelle and Snoqualmie Winery, among others. 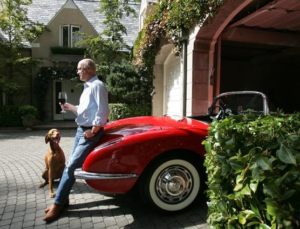 Under Allen’s direction, Stimson Lane also acquired California wineries and vineyards, including Villa Mt. Eden and Conn Creek Wineries in Napa Valley. On the international level, he developed brands in both Chile and France, as well as the Bridgewater Mill Winery joint venture with Australia’s Brian Croser, CEO of Petuluma. Allen initiated joint ventures that brought Tuscany’s Piero Antinori and Germany’s famed Dr. Ernst Loosen to Washington. Out of these came Col Solare, a luxury wine shaped in the Bordeaux tradition, and Eroica, which helped spark a Riesling Renaissance throughout the country. On two separate occasions, five individual wines crafted under Allen’s tutelage appeared in the Wine Spectator’s Top 100 Wines of the Year. Shoup is a founder of the Washington Wine Institute and the Northwest Wine Auction. He helped create the Washington Wine Commission and was instrumental in organizing the American Vintners Association. He held seats on the California Wine Institute Board, The Century Council, The Presidents Forum, and Copia. Shoup is also the founding chairman of AWARE, (Association for Wine Accurate Research and Education). Allen did his graduate work at Eastern Michigan University and his undergraduate work at the University of Michigan. He currently resides in Seattle with his wife, Kathleen and son Ryan. He often can be seen accompanied by his two grandchildren who belong to his son and daughter-in-law, Dane and Sara Narbaitz, also residents of Seattle. 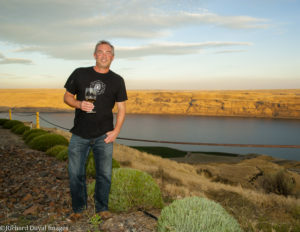 Rob Newsom, the Louisiana-born founder of Washington State’s already legendary Boudreaux Cellars, was inspired and tutored by Leonetti Cellar icon Gary Figgins. This former professional alpinist, ice climbing pioneer, and developer of the Gore-Tex fly-fishing wader is known widely for his bold, rich cabernet sauvignons. Never afraid to experiment, smooth exotic blends are one of Rob’s specialties. His background in musical performance, cooking and grilling, scientific analysis, and marketing combined with his sly sense of humor and global experience to make Rob engaging and entertaining. Rob was chosen as Seattle Magazine’s Best New Winemaker of the Year in 2007. He is serving his second term on the board of directors of the Washington Wine Institute and also serves on the board of Acoustic Sound, Inc. producers of Wintergrass. Gilles Nicault left the University of Avignon with a four-year degree in Viticulture and Enology. He honed his craft in the fabled hillside vineyards and wineries of Cote Du Rhone, Provence and Champagne. Then, already a vintner of rising fame, Gilles traveled to America. He wanted to see for himself if reports of outstanding noble grapes from the eastern slopes of Washington were indeed true. His tour took him to the Staton Hills Winery of Yakima Valley in 1994 (now part of Diageo), to Woodward Canyon in 1996, and included an occasion at the Hogue Winery. He soon became part of the prestigious community of Washington enologists and winemakers. But it was in the vineyards of southern France where Gilles developed his deep convictions regarding the science of grape growing, and the profound role it plays in winemaking. “Wines are made in the vineyard and only an excellent relationship between grower and winemaker allows the crafting of outstanding wines that reflect their terroir,” he explains to all who ask. Gilles has a passion for knowledge and has shaped his career path to achieve maximum growth through exposure to new ideas. It was only natural that Gilles would want to join Allen Shoup’s state-of-the-art Long Shadows team. It is there that he is completing his search for the secrets of the world’s most exceptional wines as he works alongside some of the world’s greatest winemakers. His exposure to their craftsmanship with specific grape varieties and classic wine styles allows him to perfect his own signature work. © 2019 Den Hoed Winery, All Rights Reserved.